In March, both houses of the Maryland legislature passed a bill to ban consumer use of neonicotinoids (neonics). As of this writing, the bill sits on Maryland Gov. Larry Hogan’s desk awaiting his signature. Gov. Hogan, a Republican, has not indicated whether he will sign the bill. Individuals permitted under the bill to use neonicotinoid-containing pesticides are licensed pesticide applicators and those working under their supervision; farmers using neonics for agronomic uses and those working under their supervision; and veterinarians. The legislation would take effect Jan. 1, 2018. Maryland’s beekeepers led the fight for passage of the legislation, assisted by a coalition of environmental and public health advocacy groups. Maryland beekeepers claim to have lost 60 percent of their hives last year to bee hive colony collapse disorder (CCD). This action by Maryland comes in the face of a perceived delay by the federal government in taking action on neonicotinoids. The U.S. Department of Agriculture’s (USDA) position on CCD is that the causes for bee losses have not been scientifically determined as yet. The U.S. Environmental Protection Agency (EPA), which has the federal authority to approve pesticide use, has undertaken a scientific review of neonicotinoid pesticides, but those reviews will not be completed until 2017-2019. With mounting pressure from beekeepers and environmental groups, Maryland may be the first of many states to restrict the use of neonics. Minnesota already requires labeling of plants that contain residual amounts of neonics and other systemic insecticides. Minnesota also has a bill pending in its legislature to restrict the use of neonics. Other states with legislation pending to limit neonic use include California, Connecticut, Massachusetts, Minnesota, New York, Oregon and Vermont. Big box stores also are responding to public pressure on neonics. Home Depot is requiring growers that sell to the store to provide a warning tag if the plants were exposed to neonics at the nursery. Further, Home Depot plans to phase out all plants that have been treated with neonics by 2018. Work with growers to eliminate the use of neonic pesticides on bee-attractive plants they sell. Overshadowed by the public concerns about neonics are their benefits. Richard Cowles, Ph.D., an entomologist at the Connecticut Agricultural Experiment Station, recently posted a synopsis of the state of the science regarding neonics and CCD on an entomology list serve. They’re exceptionally selectively toxic to insects vs. vertebrates, making them relatively safe to humans (applicators, consumers and most nontarget vertebrates) when compared with the insecticides that would otherwise be used. Their systemic nature means that once absorbed by a plant’s roots, they can reach hidden areas throughout the plant to affect insects feeding on the plant. By being presented on the inside of the plant, systemic insecticides are inherently safer for most beneficial predators and parasitoids of pests than many contact-acting insecticides, allowing integration of chemical and biological control. Most neonicotinoids break down quickly when exposed to sunlight. Low-rate foliar sprays can be of such short residual nature that they may minimally impact beneficial insects. When absorbed into plants, these insecticides are protected from the effects of lights by the plants’ photosynthetic pigments, meaning that they have relatively long residual properties in leaves. This, in turn, means that they are applied less frequently to manage pests than many alternative insecticides. For these reasons, neonics are now the most effective treatment for pests such as Hemlock Wooly Adelgid and Emerald Ash Borer. Further, Cowles reports that the research so far has found a strong link between bee hive CCD and viral diseases spread by the varroa mite. On the other hand, research has found a weak link between CCD and neonics. He points out that Australia uses neonics, has no varroa mites and has healthy bee hives. 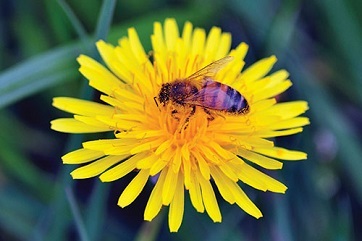 The European Union has banned neonics, but still has both varroa mites and bee hive CCD. It’s important for the green industry to be heard from on these issues, or we risk losing an effective tool in battling invasive pests that threaten our managed landscapes and urban forests. Get involved in your state association and learn what’s going on in your state legislature. Contact your state senators and house members to let them know the importance of neonics in keeping our landscapes and urban forests healthy. 1 Comment on "Government Affairs: Maryland poised to become first state to ban consumer use of neonics"
I’m in favor of limiting homeowner usage of Neonics and many other pesticides. Leave it to the trained professionals.